A workflow diagram is an illustration that shows specifically a job and how it should be done, and it includes the relationships between the job, resources needed for it, who completes it, and what conditions are necessary. How is a Workflow Diagram Used? Workflow diagrams can be just images and arrows, they can include text, or they can be only text and arrows. Once created, they can be followed directly, referenced, or never looked at again, depending on the purpose of making the diagram. Why is a Workflow Diagram Used? Workflow diagrams are typically used to explain a job and what is required to complete it, to help people fully understand their job and how it needs to be done, or to help the creator stay organized in their own position. They can also sometimes be used to identify problems in performance. After creating a workflow diagram based on what should be happening, the creator can then see what is not happening. What are the Advantages and Disadvantages of Workflow Diagrams? They can keep people on track, they can serve as a reminder tool, and they have the flexibility of how much information is included (pictures, text, or both? Precise or ultra-light?). It can be hard to gauge how much information is needed, and if that is inaccurately determined, it can slow down the workflow. 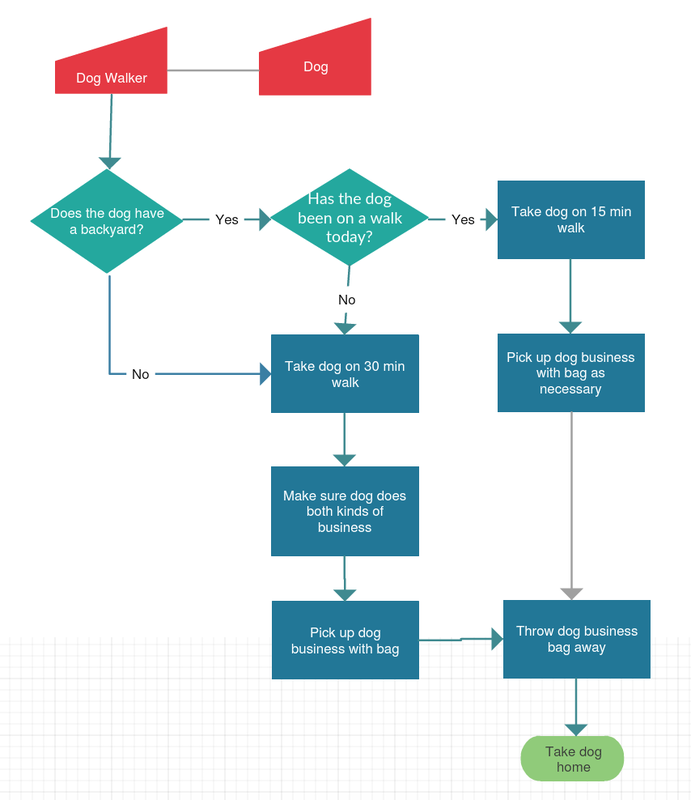 What is a Real World Example of Using a Workflow Diagram? A study done by Carter, Cohen, Murray, Saiman, and Larson (2015) used workflow diagrams to look at hand hygiene in pediatric long-term care facilities. They determined that they needed multiple workflow diagrams for different aspects of hand hygiene in pediatric long-term care. Example made by Tiffani Reardon with Creately. Job aid made by Tiffani Reardon.